The great temptation for PM Modi will be to exploit, even inflame India's mood of militant nationalism. But it won't serve his long-term interests or his country’s. Yet again, a catastrophic war between nuclear-armed rivals India and Pakistan appears to have been narrowly averted. As India looks ahead to its approaching election, the world’s biggest democracy should take care to draw the right lessons from the crisis. 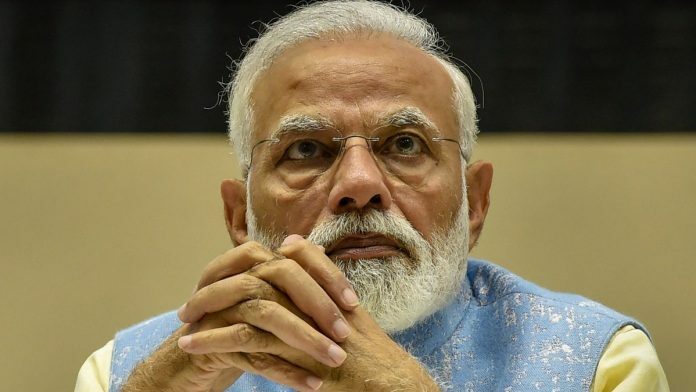 The great temptation for Prime Minister Narendra Modi will be to exploit and even inflame the country’s mood of militant nationalism. This might pay short-term electoral dividends, but it would not serve Modi’s long-term interests, much less his country’s. Strong leadership in this case requires far-sighted restraint. The upcoming polls have already summoned a hardline response. Modi, leader of the Hindu nationalist Bharatiya Janata Party, has boasted that a tough “new India” won’t be bullied. He says his government has taught Pakistan a lesson and redrawn the strategic map of South Asia. From now on, he told a crowd, “It is our principle to kill [terrorists] by barging into their houses” — presumably without worrying about borders or nuclear bombs. The prime minister has blasted critics as enemy sympathizers; any questioning of the government is tantamount to treason. Tough talk, but none too convincing. The Indian convoy attacked by a suicide bomber in Kashmir on 14 February, killing 40 paramilitary forces and prompting the recent crisis, presented an indefensibly soft target. The initial retaliation, which Indian officials have claimed killed a “large number” of terrorists, in fact appears to have failed. In response, Pakistani jets penetrated Indian airspace and brought down a creaky MiG fighter, underscoring the sorry state of India’s conventional forces. Strategically, moreover, things haven’t changed to India’s advantage. Modi’s government has broken the taboo over striking inside Pakistan proper — but Islamabad showed it wasn’t afraid to strike back. After the next terrorist attack, India will feel pressure to respond more dramatically, so hostilities will start higher on the ladder of escalation. The danger that events might spiral out of control will be greater, not less. This risk is heightened not by India’s strength, but by its weakness, which in turn arises from the country’s political and sectarian divides. Demonizing political opponents makes this worse. Letting politics descend into a hyper-partisan, winner-take-all blood sport undermines democracy and its institutions; so does tarring Kashmiris and other Indian Muslims as suspect. As a practical matter, the next government will probably lack a parliamentary majority. The country’s politicians will need to work across the aisle. Modi should recognize that Kashmiris feel alienated, and that many of their complaints are legitimate. India’s security presence in the state is oppressive: Ignoring the resulting frustrations will breed more suicide bombers as well as cost India some of the goodwill it’s earned around the world. New Delhi should ease the stranglehold on the state, investigate abuses by the security forces, allow new local elections, and engage honestly and openly with the full range of Kashmiri leaders. This will require a tempering of India’s mood. Inciting anger at Pakistan and Pakistanis only fuels the narrative on which the Pakistani military thrives — namely, that these nations separated by the British at independence in 1947 are doomed to perpetual conflict. Indian belligerence makes it harder for Pakistani moderates to argue for cross-border compromise or for reining in extremist groups. It prevents the warming of ties that might convince ordinary Pakistanis that the course their leaders have followed for so long is wrong. To be sure, that course should indeed change. The world has lost patience with Islamabad’s coddling of extremist groups such as Jaish-e-Mohammed, which claimed credit for the convoy bombing. Allowing such organizations free rein makes another terror attack in India, and another perilous cycle of retaliation, almost inevitable. Next time, Pakistan may not fare so well. Islamabad says it plans to take action against its militants. It has made this promise before; this time, it should keep its word. Meanwhile Modi has a chance to seize the high ground. He should take up Pakistani Prime Minister Imran Khan’s offer of talks, while keeping up a diplomatic offensive to pressure Islamabad into doing more. India can offer a prospect not unlike the one that the U.S. holds out to North Korea — a more prosperous future based on closer economic integration with one of the world’s biggest and fastest-growing economies, in return for measured de-escalation. In the past 20 years, India has gone from having a per capita income nearly 50 per cent lower than its neighbor’s to one that’s nearly 30 per cent higher. If Pakistan refuses détente, India can best defend itself by continuing to grow. This will increase its global heft, give it the resources to improve its military and intelligence capabilities, and raise the costs to Pakistan of isolating itself from the huge market next door. Given the right kind of leadership, peace and prosperity are goals around which a country can unite. In both countries’ interests, the best lesson India can teach its rival is what it means for a nation to thrive. Disappointment is a word now associated with India’s growth story. That needs to change, if the plunge in private investment is to be reversed. Some things may play out well electorally for a short while, but they sap both society and the economy of vitality. The UN human rights chief has tendered precisely this advice. After the election, as former NSA Menon told Ms Jyoti Malhotra, a lot of work is required on the neighbourhood. Pakistan and – internally – Kashmir should be right on top. We need a new road map for a secure, prosperous South Asia, with India its natural leader. Very superficial analysis. Seems like written by someone with limited knowledge of the region. Expect better.